Egypt's Finance Minister Mohamed Mait has said that the government has managed to achieve an initial surplus of EGP 2 billion in the fiscal year 2017/18, adding that the state is targeting an initial surplus of 2 percent during the current fiscal year. Mait said that Egypt has been registering a deficit for the past 15 years, while borrowing to provide food and drink and to cover essential expenses. The minister also said that he expects the issuance of new sovereign bonds in the first quarter of 2019/20, pointing out that the ministry is working to diversify markets covered by the new offerings. He added that the ministry issued sovereign bonds in USD and euros last February and April, and that it is studying the issuance of sovereign bonds in other currencies, although no decision has been taken yet in this regard. Mait affirmed that the ministry has paid EGP 1.2 billion from the state treasury to the Export Development Fund during the past weeks, including EGP 500 million in the last week. Mait also said that the ministry is prepared to release the portfolio of state companies, whose stakes will be offered on the stock exchange; however, the current state of the companies on the market does not fulfil requirements set by the cabinet. Mait said that foreign exchange reserves have increased to cover nine months of imports, a rate that has not been achieved in the history of Egypt. 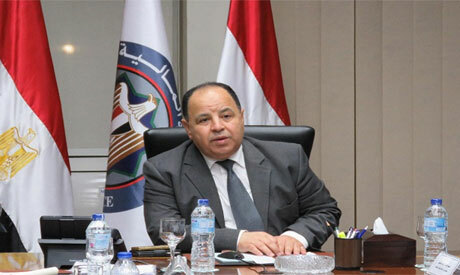 Last July, Egypt's finance ministry announced that the general budget achieved an initial surplus for the first time in more than 10 years, compared to a deficit of EGP 47 billion during the same period in the previous fiscal year.